The pest control business is one of the businesses that are silently booming. But are you making the most out of the opportunity lying in front of your eyes? For service businesses, reviews are essential especially for those who would try to reach out to you for the first time. Reviews from clients who have actually experienced your service determines the decision of a lot of potential customers. In this light, you should consider managing reviews that you get. Of course, you should not curate negative feedback. What you should do is to highlight the best comments. And when there are negative ones, make sure that you show how you deal with the problem. In the same thread, encourage the aggrieved client to comment again after the problem has been solved. Aside from reviews straight on your site, some platforms for feedbacks are Yelp and Google plus so if possible, have some clients post comments there as well. Just remember that while it would be great if all the comments are positive, it should not reach a point that you should cheat your way into it. Have integrity. Where there’s problem, addressed it so you can organically gain all praises. One of the strategies that you need to implement for your pest control business is online networking. It’s always good to connect with potential customers. Build trust among potential clients because when the opportunity arrives, they’ll always try to go to someone they trust first, and if you do it right, that would be you. The business development forms a great part of online networking. What you should do is to prepare some sort of informative material about your business, your experience, and your services, and then send this out to potential customers who you would meet. This capability profile is a statement of who you are and what you can do, and this helps a lot in business development. Another facet of networking is sponsoring some events. If you have the budget, do your best to participate in relevant activities and make sure that you become part of their marketing campaign for the said activity in return. Some might say that social media is not the right place for a pest control business. But that is far from the truth. Businesses of all industries can make use of the wonders of social media, and your pest control business is not an exemption. Searches are not isolated to search engines anymore. Social media sites are being searched for local businesses such as pest control. That’s why it is essential to have a presence in social media as well. What’s more is that you can help spread the word of your business here too. You can make use of social networking sites as another platform for your marketing initiatives. Furthermore, you can also benefit from paid ads where you would be able to target customers who are more likely to be actual customers. Another step that you should take is to ensure that you implement a strong local SEO. By that, you would be able to leverage on the fact that you are a business that is in the desired locality of the searcher. Search engines are doing this because the goal is to bring out the most relevant pages for the searchers. And for a service business, it pertains to providers within the searcher’s location. To do this, make sure that you are signed up on sites such as Google My Business and its counterpart on other search engines. Doing this would really boost your visibility when it comes to local business, and would definitely lead to a better ranking as compared to businesses outside your location. Email marketing is still one of the most effective Internet marketing strategies out there and you should make use of it. To make it work its best, though, you will need to be able to build a decent mailing list. You should be able to come up with lists that will contain current, past, and potential customers. You should then craft email marketing strategies that would fit each of the lists. And remember the informative material mentioned in item # 2? Emailing them to potential customers is also a great way to do it. Other things that you can send out using email marketing are promotions, informative content, and many more. Email marketing can be very versatile and can be very effective when done right. With the opportunity for pest control businesses to grow, you should do your part in capturing as many clients as you can. Internet marketing is one of the ways in which you can do this. 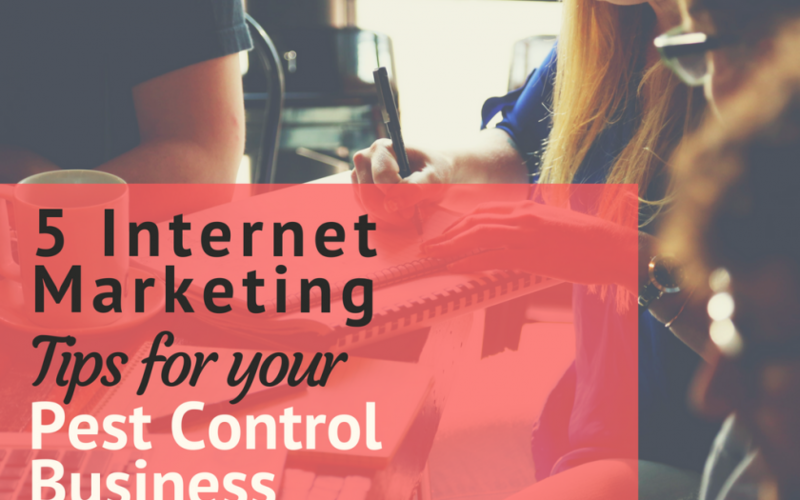 The tips above are some of the best practices on which you make the most out of Internet marketing for your pest control business. Do them and you are would be able to significantly boost the potential of your business. But it does not stop there. Make sure that you really provide quality pest control service. Do that and there’s no reason why your pest control business will grow. How I Can Check My Cibil Score Online?